Learning Standards are defined as the knowledge, skills, and understandings that individuals can and do habitually demonstrate over time when exposed to high-quality instructional environments and learning experiences. In 1996, the New York State Board of Regents approved 28 learning standards in seven content areas. In 2010, the Board of Regents adopted the Common Core Learning Standards in English Language Arts/Literacy and Mathematics. In school year 2014-15, the Board of Regents asked for a review of the Common Core Standards in English Language Arts and Literacy. The New York State Next Generation English Language Arts Learning Standards (Revised 2017) are the outcome of that review and were adopted by the Board of Regents in September 2017. Have the New York State English Language Arts Learning Standards changed? In September 2017, the Board of Regents adopted the newly revised English and Mathematics Learning Standards, which will be fully implemented by the 2020-2021 school year. To learn more about the implementation timeline, please see the Next Generation Learning Standards website. Are the English Language Arts Learning Standards applicable to all content areas? Reading, writing, listening, and speaking have connections to all content areas. Success in school and in life is determined in large part by competence in language. As a significant means for developing students' abilities to use their minds well, language is a central factor in learning for all students and in all disciplines. Thinking creatively, making informed and reasoned judgments, producing and inventing, critiquing and analyzing - all are facilitated through language. The Next Generation English Language Arts Learning Standards include standards for literacy across the content areas, with a separate Grades 6-12 Literacy document available. Are the P-12 2011 Common Core Learning Standards for English Language Arts & Literacy still applicable to schools in New York State? The 2011 New York State P-12 Common Core Learning Standards for English Language Arts & Literacy will remain applicable through the 2019-2020 school year. To learn more about the implementation timeline, refer to the implementation timeline on the Next Generation Learning Standards website. How do the P-12 Common Core Learning Standards for English Language Arts and Literacy inform local curriculum? Curriculum decisions are made at the local school district level in New York State. There is a tradition of local (school/district) choice in New York that empowers educators to select texts, identify products, and use a rich array of instructional strategies and activities to meet student learning needs. The New York State Education Department is working on a guide for how schools can make local updates to the EngageNY curriculum modules to reflect the Next Generation Learning Standards revisions. Please note that the curriculum modules are not required curricula; these are optional materials. Does the New York State Education Department have a required curriculum, including reading, spelling, or vocabulary lists? No. It is the local school district's responsibility to implement a curriculum which will provide students opportunities to achieve the New York State learning standards. 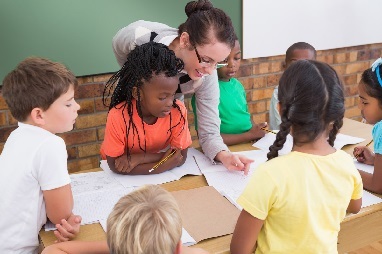 To learn more about the distinctions among standards, curriculum, instruction, and assessment, please see A Resource for Understanding the Relationships Between the State Standards and the Prekindergarten-Grade 3 Instructional Cycle, which was developed to show how local curriculum and instruction decisions connect with the learning standards. Is teaching cursive writing required in New York State? Cursive writing is not included as a requirement in the 2011 P-12 Common Core Learning Standards or in the Next Generation English Language Arts Learning Standards (2017). Teaching cursive is a local school district decision in New York State. Where can I go to get an overview of what is included in the NYSED ELA Curriculum Modules? Are there curriculum maps available? Yes, curriculum maps or outlines of the curriculum materials are available on EngageNY. For Prekindergarten-Grade 2, there is an overview page that describes the Listening and Learning and Skills Strands. To learn more about each section, you can click on the grade level and then select the Listening and Learning or Skills Strand. For Grades 3-8, there are grade-specific curriculum maps available, which outline the major focus for each module, plus the texts that are used within the module. Please note that these are the maps for the NYSED ELA Curriculum Modules. If a school or district is not using the modules, they are not required to follow the module map since curriculum is a local school district decision. At the local level, schools are required to ensure that local teaching facilitates student attainment of the Learning Standards. The maps for the NYSED ELA curriculum modules are linked on each grade-specific curriculum page. Does New York State have a list of required texts? No. Text selection, as well as curriculum decisions, are local school district decisions in New York State. As schools select texts, we recommend that the school district be able to describe the process for text selection so that parents and students can understand the process and why specific texts are selected and used within the local curriculum. What is the recommended minimum number of books students should read per year? Does New York State have a requirement for summer reading? No, but many local school districts include summer reading requirements as a way to support student literacy and help students learn over the summer. If a school district includes a required summer reading assignment, there are some guidelines that they must follow. Please see the 2009 summer reading memo for additional details. Each summer, the New York State Library shares a website and resources to promote summer reading in local and school libraries. These materials are available at the New York State Library website. The theme for the 2018 Summer Reading at New York Libraries program is Libraries Rock! Is teaching keyboarding required in New York State? The New York State Next Generation Learning Standards in English Language Arts includes keyboarding as a component of understanding the role of technology and digital tools in writing. Refer to grade level Production and Range of Writing sections for specific expectations. The Office of Educational Design and Technology provides guidance on keyboarding instruction. For the P-12 Common Core Learning Standards (2011), which will be used in New York State classrooms prior to the 2020-2021 school year, keyboarding is included as an expectation, beginning in Grade 3. Please see Writing Standard # 6 for details. For more information, please read the technology literacy memo from the Education Department. How can I learn more about education services for students with disabilities? The Office of P-12 Special Education is the best source of information regarding New York State law, regulation, and policy governing the education of students with disabilities. How can I learn more about education services for English language learners? The Office of Bilingual Education and World Languages provides support and technical assistance to Districts, Charter Schools, Non-Public Schools and other organizations (Universities, State Educational Organizations, etc.) in the development, implementation, and evaluation of programs for English language learners (ELLs), as well as to world language (WL) students within the State’s P-16 initiative. What is AIS - Academic Intervention Services? AIS is additional instruction intended to assist students who are at risk of not achieving the State learning standards in English language arts, mathematics, social studies, and/or science. For additional information, please refer to the Part 100 Regulations (see # 3). What are New York State's graduation requirements for English? According to the Part 100 of the Regulations of the Commissioner for Education, to receive a Regents diploma, a student must earn four units of credit in English language arts and achieve a passing score on the Regents Comprehensive Examination in English or the Regents Examination in English Language Arts (Common Core). Please refer to the Part 100 Regulations for more information. Which English language arts tests are required by New York State? In New York State, students in grades 3-8 are scheduled to take the New York State English Language Arts grades 3-8 tests. The Educator Guides to the 3-8 English Language Arts Tests provide helpful guidance around the content and design of these tests. At the high school level, successfully passing the Regents Examination in English is a graduation requirement for earning a Regents diploma. To learn more about these assessments, please visit the Office of State Assessment website. When should High School English students take the Regents Examination in English Language Arts? The Regents Examination in English Language Arts is designed to be administered after three years of high school English. The admission requirement for taking the Regents Examination in English Language Arts is the completion of the course of study. Please see the 2015 Edition School Administrator's Manual, Secondary Level Examinations for more information. Each local school district determines when a student has completed the course of study. Please note that there is no provision in the Part 100 Regulations that allows a student to "challenge" or take a Regents examination before he/she has completed the necessary course of study. There is a "credit by examination" option that can be used at the local level with superintendent approval. This is available to students who have not completed the corresponding coursework. 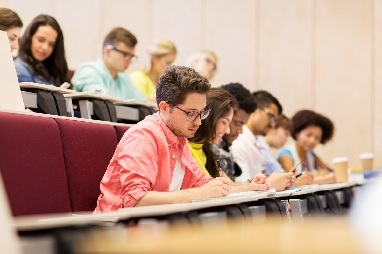 If a student would like to practice an exam or a portion of an examination, prior Regents examinations are also available on the Office of State Assessment website. What are the New York State approved Alternative Examinations for meeting the requirements for a local or Regents diploma? The New York State Department of Education Assessment Panel meets periodically to review proposals for alternative assessments to the Regents examinations and to make recommendations to the Commissioner of Education about whether the proposed alternatives should be approved. Several examinations have been approved, and the minimum acceptable scores have been set. Reference the Department-Approved Alternative Examinations memo for approved alternatives. What are New York State Alternate assessments? The New York State Alternate Assessment (NYSAA) is a part of the New York State Testing Program. It is a datafolio-style assessment in which students with severe cognitive disabilities demonstrate their performance toward achieving the New York State learning standards. Eligibility for participation in NYSAA is determined by the Committee on Special Education (CSE) according to criteria described in the Administrators' Manual. Some students require testing accommodations in order to participate in testing programs. Such accommodations provide students with the ability to demonstrate mastery of skills and attainment of knowledge without being limited or unfairly restricted due to the effects of a disability. The Office of State Assessment's Accommodations for Testing website relays information on testing accommodations for students. Computer-based administration of the NYSED ELA 3-8 exam is available for those schools or districts choosing that option. Computer-based assessment resources, including practice questions and video tutorials, are available. The Regents Examination in English Language Arts is solely paper-based.